New Jersey Treeing Walker Coonhound Rescue View other Treeing Walker Coonhounds for adoption. 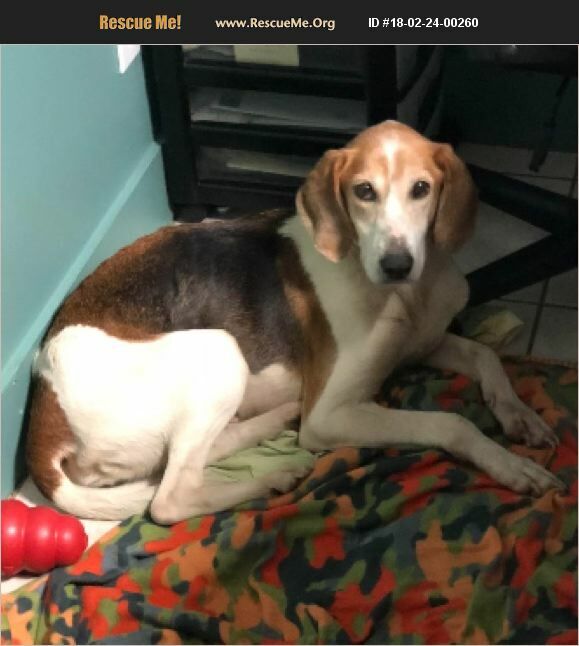 Whitney is a 5-6 year old Hound who was discards when she wouldn't hunt anymore. She is incredibly sweet and lovable. She is very timid and doesn't mind any dog or cat. She shares food, toys and her bed. She doesn't walk well on a leash yet so a fenced yard is ideal. She is excellent and gentle with children. Her time is up. She was nearly starved to death but ironically she is on good health. She needs some good groceries and some love. She is worth it. Please don't let her die in the shelter.